So I talk a lot about training, about fitness and about running. What I don't talk a lot about is they why behind it all. Today I want to share that with you, honestly I apologize that it has taken this long. I run for many reasons. One being it gets me out of the house, gets me that much needed alone time. I stay at home with my boys all day, every day. I love this job, I love being with them every step of the way when they're this little. However this doesn't mean that I don't need some me time squeezed in between all the hugs, cuddles and tantrums that ensue throughout the day. I love that I have a husband that understands this, a husband who gets it and who is encouraging. He is really great at saying, "Go, take some time, just run." When he can tell I'm about to lose my mind. There are times where I feel extremely guilty for going out on a run, leaving my family to fend for themselves during that time I am away. Then I step back and have to realize that what I am doing is benefiting them in ways beyond measure. Keeping myself grounded, stress free and happy is going to help me to be a better Mother and Wife to those who depend on me to be so. This may seem obvious but I wasn't always a runner. In fact I was the furthest thing from being a runner just about two years ago. Sure I ran a couple races years ago, and did a handful of 5k's and bootcamps but nothing ever really stuck. It wasn't until my second son was born that I really got into this lifestyle. I knew that I needed to be healthy and that I needed to do something to get myself into shape, not only for myself but for my family as well. Let's face it, I want to be around as long as I possible can for them. 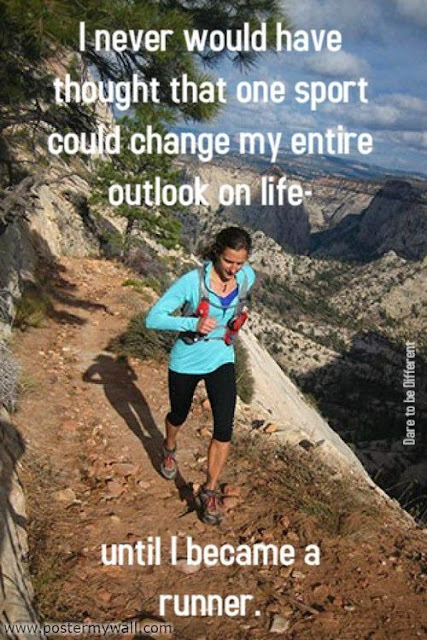 I never planned on running, it just sort of happened and I became enthralled with the lifestyle. 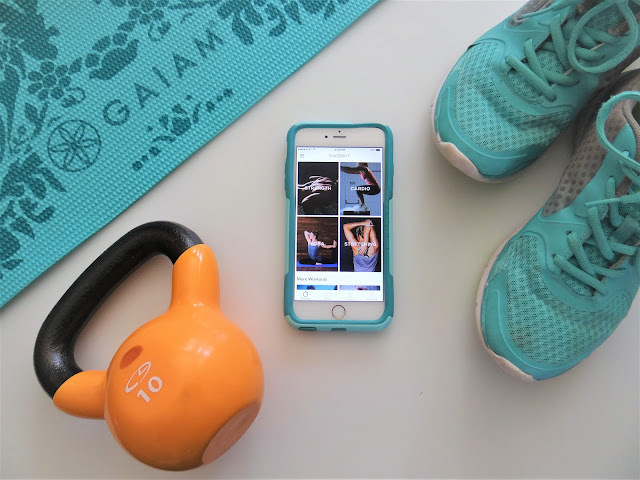 I love knowing that what I am doing is not only giving me an outlet for my stress but it is also helping me stay fit and healthy at the same time. Three being the community of runners. This community is one that I would have never even thought of being there, however they are ever present, ever encouraging and ever helpful. I love interacting on all social media platforms with every runner I can find. I love listening to all the running podcasts, in particular BibRave right now. It's incredible the resources for any question I may have, and I have never once been made to feel inadequate with anything I have inquired about. This community supports one another so incredibly, in a sport where you may think is a one person game. Bottom line, I love to run. I love that this sport has taken me in and swept me up in it. I love that it doesn't matter how old I was when I fell in love with it, running doesn't care the way many other sports do. I love the simplicity of it, the pure raw nature of it. 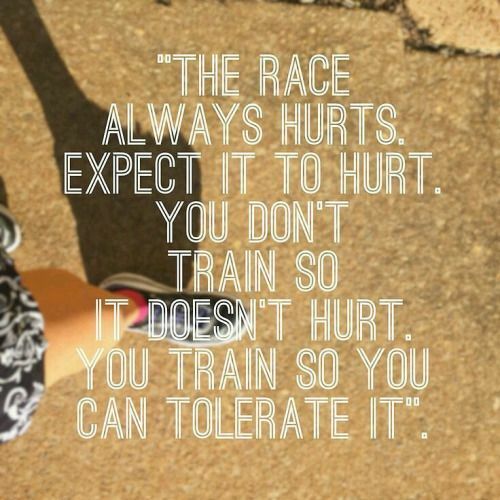 My posts about training have been few and far between lately, due to an injury to my left knee that has left me extremely discouraged and aggravated. I went to see a physical therapist and she said my knee cap was just not tracking right but rather slipping over to the right when it wasn't supposed to be. She gave me some exercises to help strengthen the muscles that will hopefully pull it back in track, which I have been doing and it has definitely been helping and I've been able to run but I just haven't been pushing myself too hard or sticking to my full marathon training plan. I really don't want to push myself too far and end up hurting myself worse. Running, ironically, doesn't hurt my knee at all. The only time I feel pain is going up and down stairs, even squats don't hurt. It's by far the weirdest knee pain I've ever experienced. I just don't want to push my knee and end up hurting it from running too long of distances. 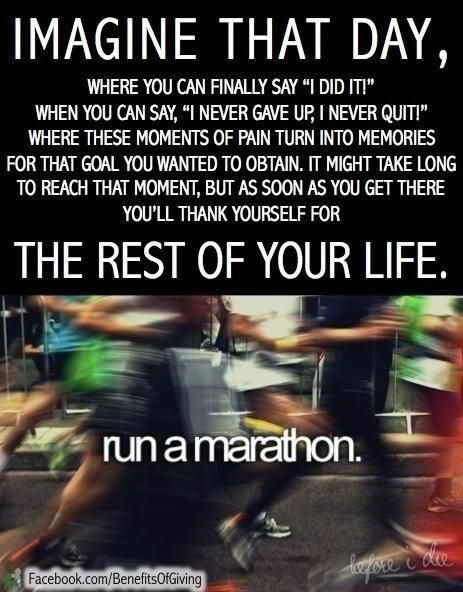 My initial goal was to complete my first full marathon late September. However I have made the difficult decision to put that goal off until next April and run the Go! St. Louis full. I do have the Vine to Wine Half Marathon early in September so I am going to focus on speed work and getting a faster half time. The race is 14 weeks away and I have found a 12 week plan (well actually I found 3 and am going to be creating one that makes sense for me). I am going to give myself these next two weeks to run at my leisure, take care of myself and just hope that my knee recovers fully in that period of time. I am going to continue to do my exercises, twice a day and make sure to avoid activities that cause my knee to flare up, by recommendation of my physical therapist, since the paid is caused my weak muscles I just need to focus on strengthening them for the time being! To say that this was a hard decision would be an understatement. 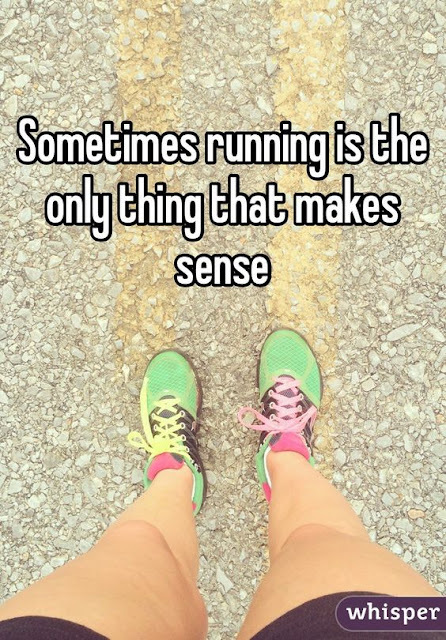 Since beginning my serious journey in running a year ago I feel as though every time I get really serious about a plan something happens and side lines me for weeks at a time. Last year it was my foot and earlier in this training cycle my IT Band was causing issues (this has fully gone away as I have done way more stretching to help that). I know injuries are a part of the game, I know it's just my bodies way of telling me to pay attention to what I am doing and what it needs, but it's just really frustrating to not be able to do the one thing that I want to do more than anything. 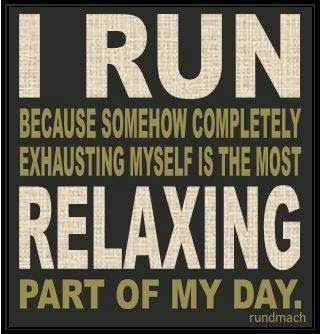 Running is a release for me, it's a way to just shut everything else out and be with myself for an hour or so. If anyone has had this same issue I would love to hear your story and if you have any suggestions on exercises you think I should try out, I'm all ears!! The more recommendations the better!! So for now my training is halted, hopefully to be picked back up fully in a couple weeks and once that happens I'll share updates and my journey through a completely different type of training plan, way more based on speed work than distance! Once I get my plan nailed down I'll share it here for anyone who wants to jump on board with me and train *virtually* together! Nothing says Monday like a new Sworkit workout in the Spring into Summer Series! I'm having so much fun creating and completing these workouts! It's so nice to be able to squeeze in a quick 20 minute workout in the middle of a hectic day. Seriously, this app has just been a life saver, bottom line. We are all busy but there's no more excuses as to why you aren't getting in those workouts, make some time in the comfort of your own home and get at it! This workout is very upper body and core intense. I wanted a workout that would give my legs and knees a little break, as I am running and training at the moment. I also wanted a workout that wouldn't be too loud so I could complete it once the boys were all asleep! I have to say, out of all the workouts I've created, this one is one of the more intense for me. I did 20 minutes with a 30 second break every 5 exercises and I was exhausted afterwards! I also got an email that I could get 3 months of premium Spotify for 99c so I am totally going to jump on that and have way more control of what I listen to while I'm working out! I am thinking that once you sign up for a free account they will send you that email? I hope so because it's such a great deal and I want you all to be able to have that opportunity as well! Go grab the WORKOUT and the SPOTIFY App and get your Summer body started!